Do you have a miniatures collector in your life? 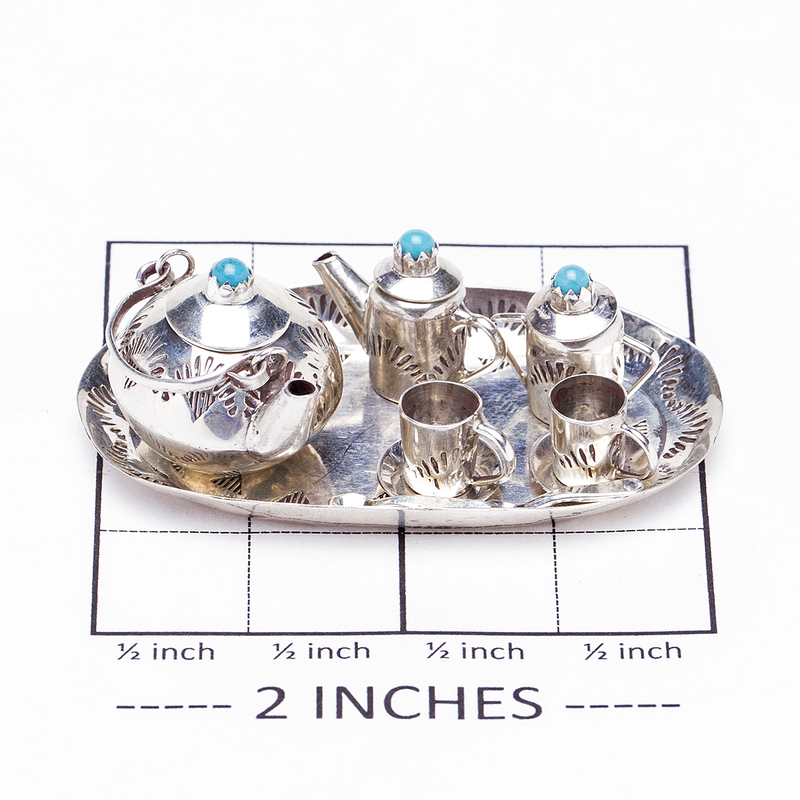 What better gift than a tiny tea set by Navajo artist Elizabeth Whitman! Teapot, creamer, sugar bowl, 2 cups, 2 saucers, 2 spoons and a tray will keep your diminutive diorama in top style! The lids are topped with turquoise and are removable. Tray measures 2 1/8″ long by 1 1/4″ wide. Teapot measures 3/4″ high. 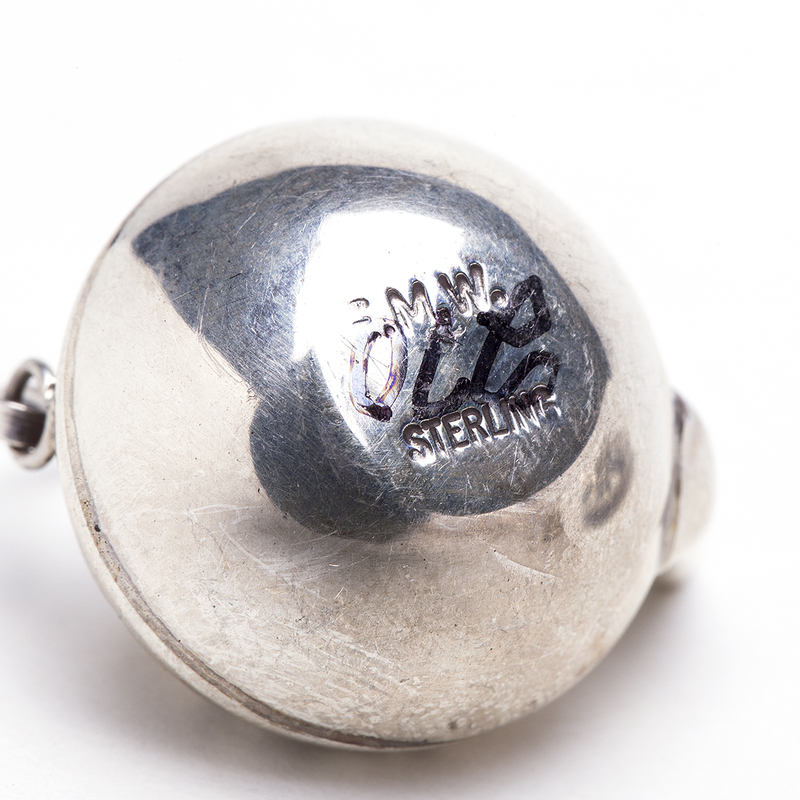 Hallmarked “E. M. W.” and “Sterling”. Tea set weighs 16.5 grams. 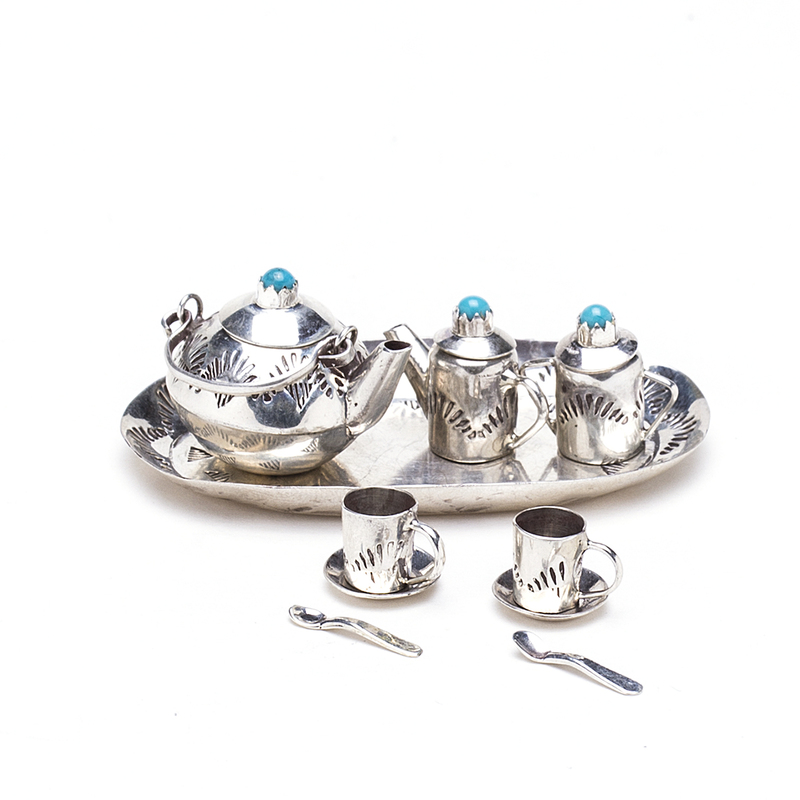 E M Whitman Sterling Mini Tea Set showcases skillful use of Silver on a small scale. Handmade by a talented Native American Silversmith of the Navajo tribe.